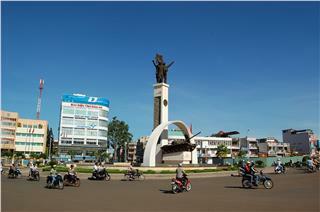 Bac Giang is a province in the Northeast Vietnam. 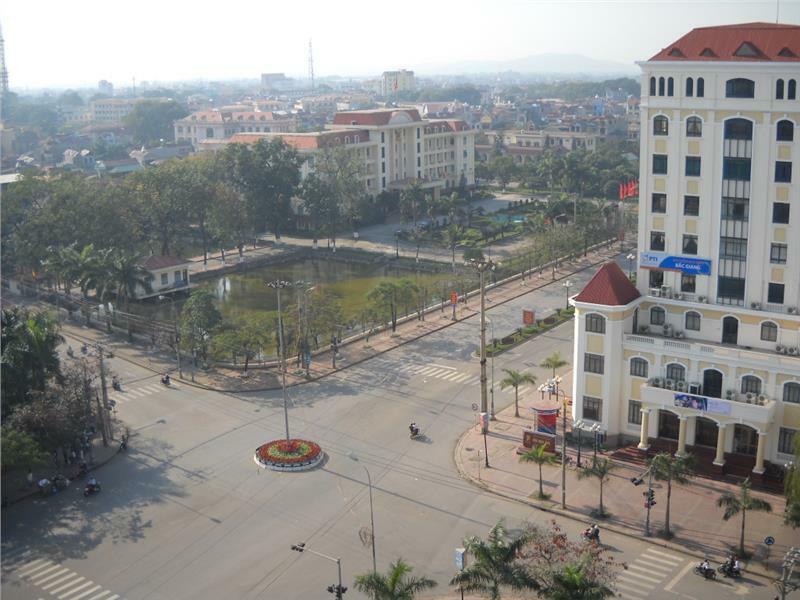 In the economic planning, Bac Giang is located in the North midland and mountainous region, since 2012, the province is located in Hanoi Capital Region. 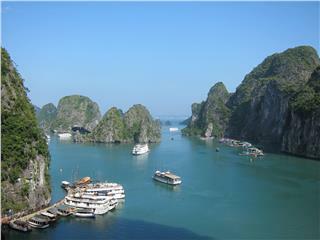 Bac Giang shares border with Lang Son in the north, Quang Ninh in the east, Thai Nguyen and Hanoi in the west and Bac Ninh and Hai Duong in the south. 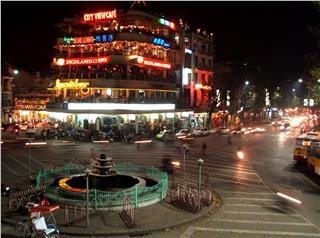 The provincial capital is Bac Giang city, about 51km far from Hanoi. 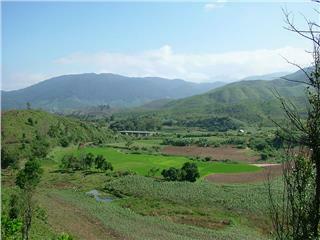 Being a northern province, Bac Giang has the natural area of 3.823km2, accounting for 1.2% the natural area of Vietnam. According to the documents in 2009, in the total natural area of Bac Giang, the agricultural land accounts for 32,4%, the forest land accounts for 28,9%, the rest is hills, rivers and streams and other types of land. 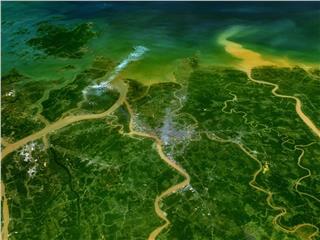 Bac Giang has the midland terrain and is the transition zone between the mountainous region in the north and Red River Delta in the south. 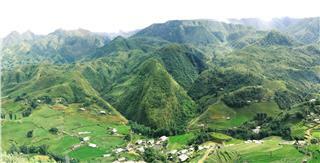 Although most natural area of the province is mountainous terrain, Bac Giang terrain is not much fragmented. 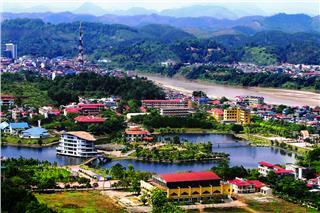 Bac Giang is located between two mountain ranges along the two bow-shaped mountain ranges, namely Dong Trieu and Bac Son. 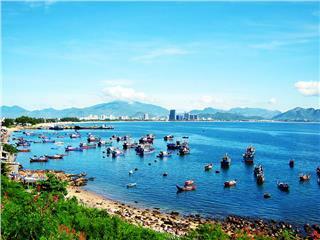 The east and southeast province is Dong Trieu mountain range and Yen Tu Mountain with the height of 300-900m above the sea level. 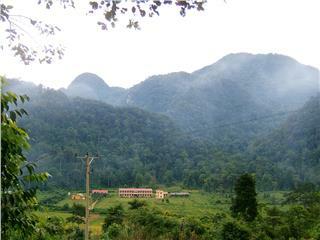 The northwest is Bac Son Mountain with an average height of 300-500m, mostly rounded and sloping hills towards the southeast. 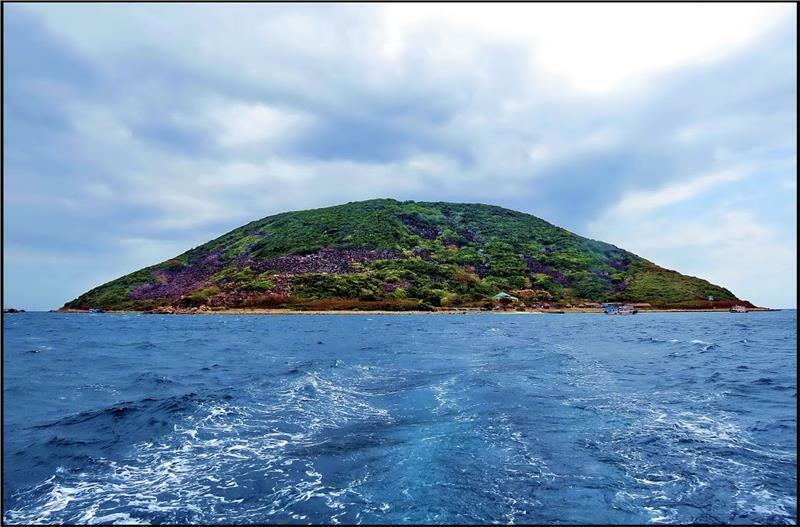 To the northeastern end of the province, along the border with Quang Ninh there is the Khe Ro forest, spanning 71.53 km 2, with a rich biodiversity including 236 species of trees, 255 species of medicinal plants, 37 species of mammals, 73 spices of birds and 18 species of reptiles. 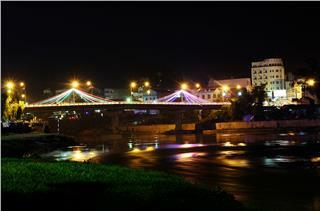 Bac Giang has 374km of rivers and streams, in which 3 major rivers are Luc Nam River, Thuong River and Cau River. 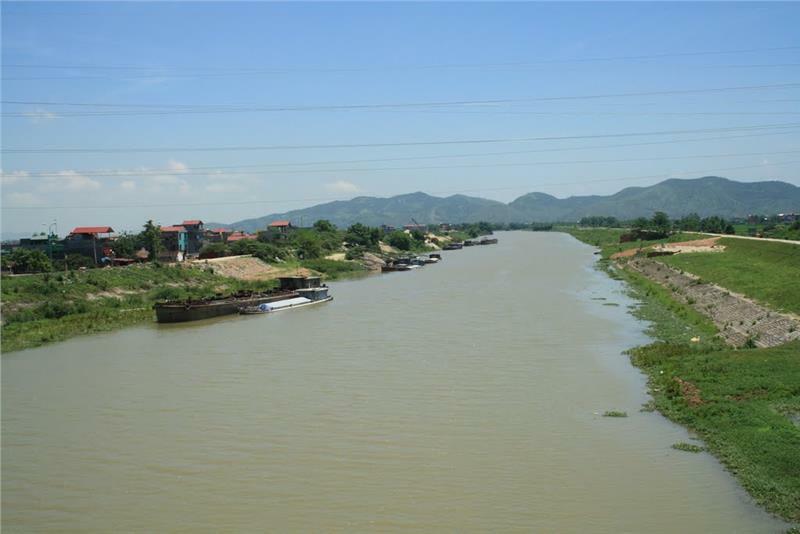 Bac Giang locates in tropical monsoon climate in the Northeast Vietnam, so it has 4 seasons in a year: dry and cold winters, hot and humid summers, warm springs and cool autumn. The average humidity is 83%; some months in the year have the average humidity over 85%. In dry season, the humidity is about 74% to 80%. The annual average rainfall is appropriate 1533mm. 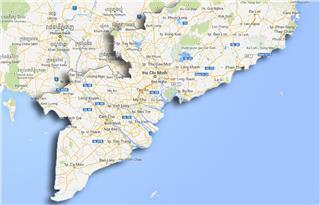 Bac Giang today is the home to 20 ethnic groups including Kinh, Tay, Nung, Hoa, Dao, San Chi, San Diu, etc. 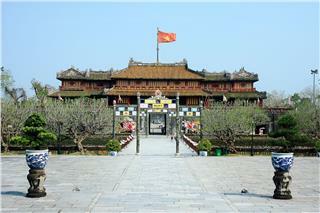 During the time of Hung King, Bac Giang was in the division of Vu Ninh, Van Lang country. Under the Dinh dynasty (968 - 980), Tien Le (980 - 1009) was in Long Bien district, during the Ly - Tran dynasty was the prefecture of Bac Giang. 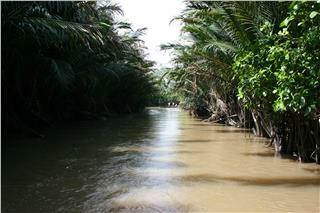 Then it was in Kinh Bac during the Hau Le dynasty. 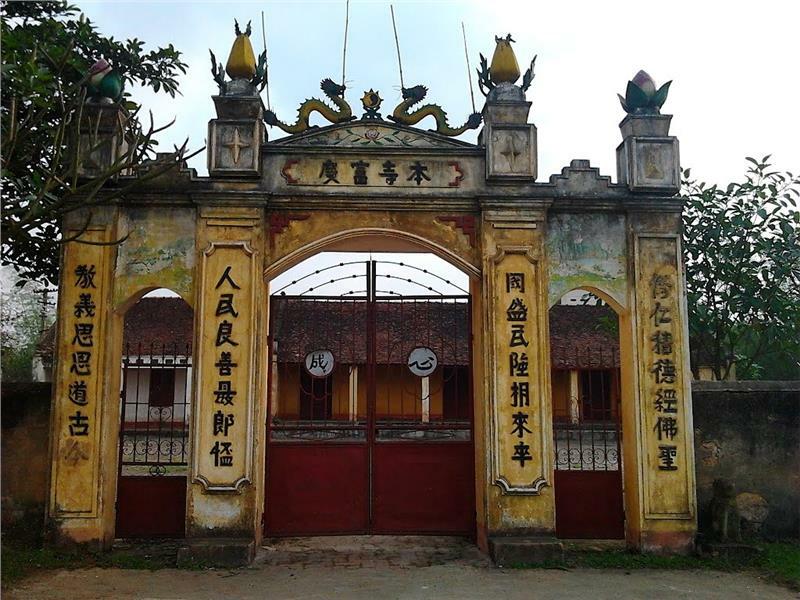 Under the reign of King Minh Mang (the 2nd year, 1821), Bac Giang was in the prefecture of Thien Phuc, in 1831 renamed Bac Ninh province. 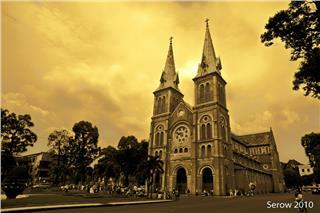 On October 10th, 1895, Governor-General of French Indochina signed the decision to establish Bac Giang province. 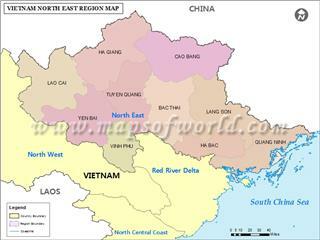 October 27th, 1962, Bac Giang and Bac Ninh was merged into Ha Bac province. November 6th, 1996, in the 10 session, the 9th National Assembly approved to separate Ha Bac province into Bac Ninh and Bac Giang. 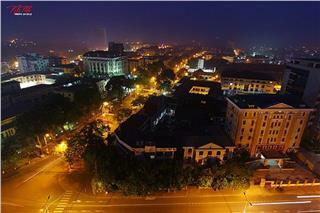 Bac Giang administration put officially into operation since January 1st, 1997 until now. 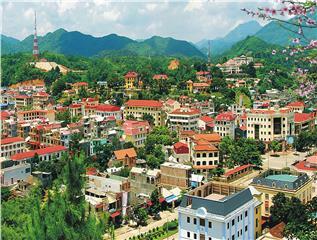 According to population census in 2009, Bac Giang population has 1.555.720 people with a population density of 407 people/km², 1.7 times as much as the average population density of the country. Bac Giang has 26 ethnic groups living together, in which Kinh people cover the majority of Bac Giang population, accounting for 88.1%. The percentage of other ethnic groups are relatively 4,5% of Nung people; 2,6% of Tay people, 1,6 % of San Chay people, 1,6% of San Diu, and the rest of other ethnic groups. Most of ethnic groups in Bac Giang maintainted their own language and have so far used in their daily life. Because the majority of Bac Giang population is Kinh people, so Vietnamese is the common language in this province. 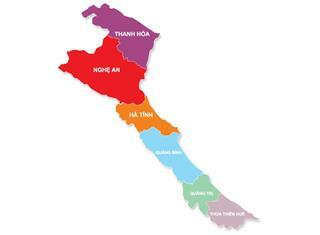 Bac Giang has 10 administrative units consisting of 1 city and 9 districts with 299 communes, wards and towns. 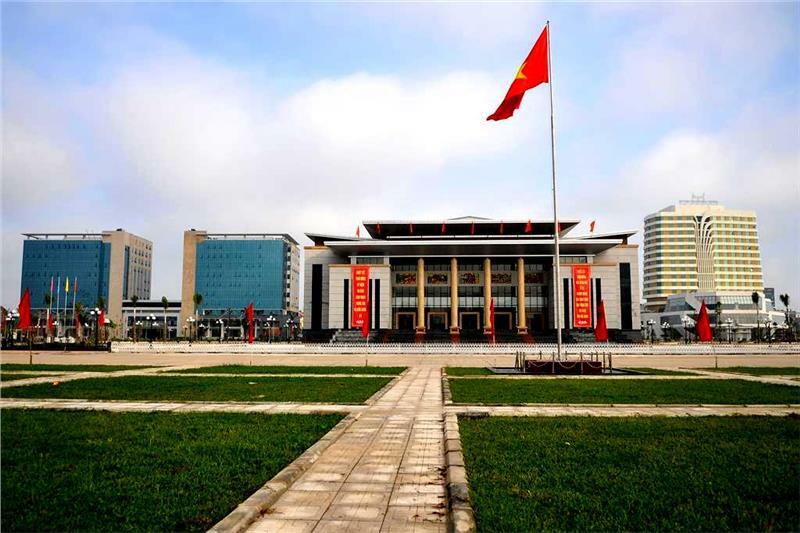 Located in the economic corridor of Nanning (China) - Lang Son - Hanoi - Haiphong, adjacent to the northern key economic region, Bac Giang Province is very advantageous in economic development and cultural exchange with countries in the region. 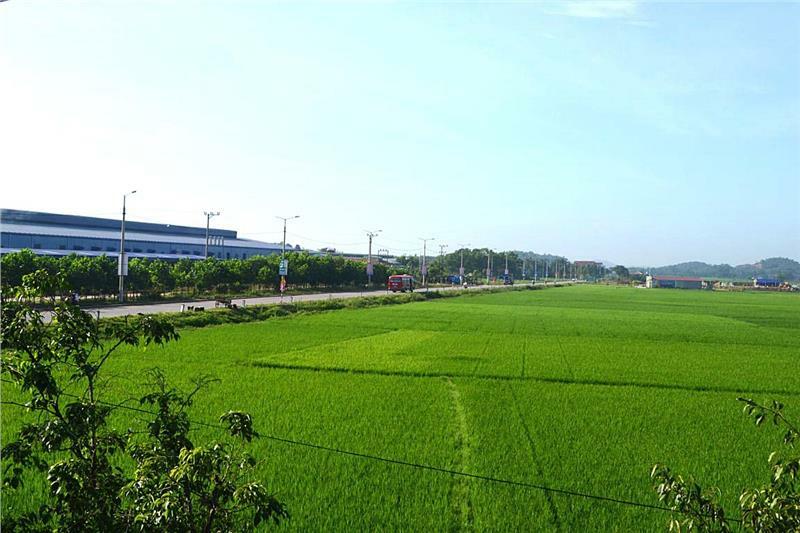 Bac Giang has planed and built industrial zones and industrial clusters with a total area of 1500ha. 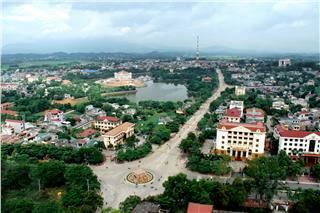 Bac Giang is trying to improve the investment environment and business; prioritizing investment in infrastructure of industrial clusters and zones; training and improving the quality of human resources to meet the requirements of enterprises, especially paying special attention to the reform of administrative procedures towards ensuring transparency. In 2014, the growth of gross regional domestic product (GRDP) was higher than the same period and exceeded the plan, estimated at 9.2%, of which agriculture, forestry and fisheries increased by 5.7%, industry - construction increased by 13.0%, services raised 7.3%. The growth rate of production value reached 17.9%, of which the state sector rose 3.4%, the non-state sector increased by 11.2%, the foreign investment increased by 22.2% compared with 2013. The export turnover estimated at 2150 million USD, an increase of 27.1% compared to 2013. The total state budget on the province reached 3,445.9 billion dong, equal to 118.3% of the plan, up 9.4% over 2013. Education and training of the province achieved 15/16 criteria of professional work, was graded excellent and recognized as the leading flag of Vietnamese education and training by the Ministry of Education and training. The scale schools continue to be maintained, meet the basic needs of students. In 2014, the proportion of accredited schools meeting national standards accounted for 76.1% of the total number of schools. The infrastructure of vocational schools is invested and upgraded. The quality of vocational schools is improved. Successful implementation of policies is used to ensure social security, stabilize the people's life, and reduce the poverty. The number of households out of poverty decreased to 8.8% exceeded the plan and target of the 17th Provincial Congress Party one year ago. 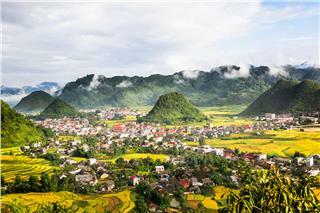 Bac Giang is the land with long traditional culture and history. Bac Giang culture is rich and diverse with the system of unique intangible cultural heritages. 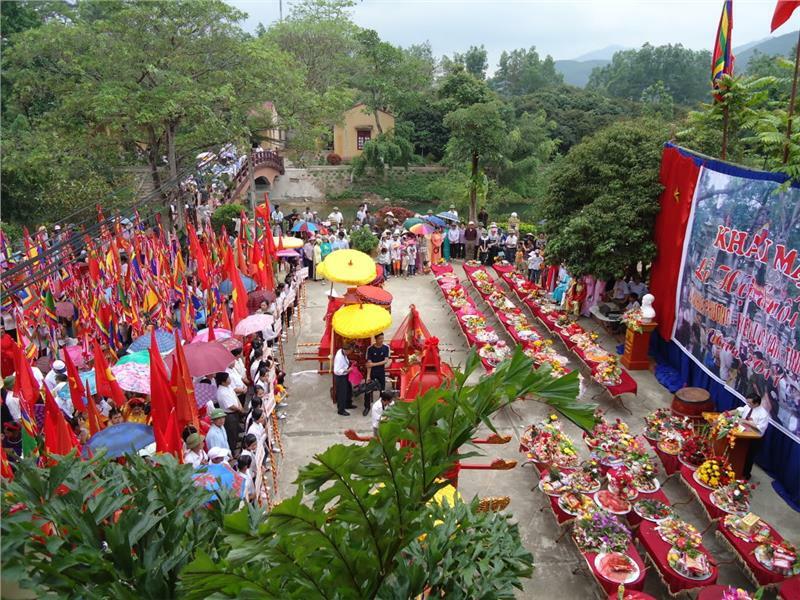 In term of intangible cultural heritages, Bac Giang has currently 2,237 relics, including 109 national relics and special national relics; 276 provincial relics, 255 temples, pagodas and shrines; and 7 revolutionary historical relics. The relics are distributed in almost all the districts and cities, such as Thanh Xuong Giang (Xuong Giang Citadel), Ancient Citadel, ATKII (Hiep Hoa), Vinh Nghiem Pagoda, Bo Da Pagoda. Dinh Huong Tomb, Lo Hanh Communal House, Tho Ha Communal House, etc. In particular, in 2012, the Vinh Nghiem pagoda woodblock was recognized the world heritage memory of Asia - Pacific region by UNESCO. 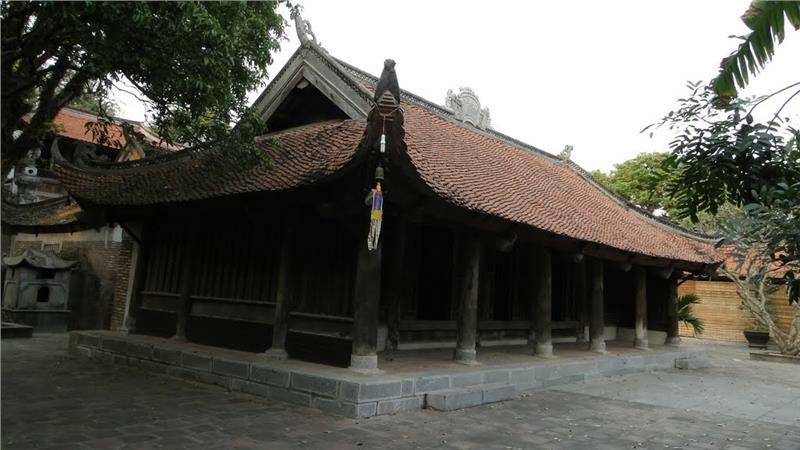 Bac Giang currently owns thousands of architectural works with many different types such as temples, pagodas, shrines, communal houses, etc. The communal houses in Bac Giang have been existing for a long time for example, Lo Hanh Communal House (Dong Lo - Hiep Hoa) from 1576, Tho Ha Communal House (Van Ha - Viet Yen) from 1686, and Phu Lao Communal House (Dao My - Lang Giang) from 17th century. Vinh Nghiem Pagoda ( Tri Yen - Yen Dung), Bo Da Pagoda (Viet Yen), Ngo Ancestral Tomb, Dinh Huong Tomb (Hiep Hoa), etc. show the special marks of the construction techniques and the art of painting, sculpture of Bac Giang people. In addition, many pagodas in Bac Giang were recorded in Vietnamese Buddhism history like Duc La Pagoda (also called Vinh Nghiem Pagoda in Tri Yen Commune, Yen Dung District); Bo Da Pagoda (Tien Son – Viet Yen); Kem Pagoda (Nham Son - Yen Dung) etc... Specilly, most of villages in Bac Giang have their own pagoda or temple to worship the village’s tutelary God. Moreover, Bac Giang is home to rich folk literature including legends, myths, fairy tales, anecdotes, jokes, proverbs, vi singing, Trong Quan Singing, quan ho singing, cheo singing, ca tru singing and folk songs of ethnic communities. 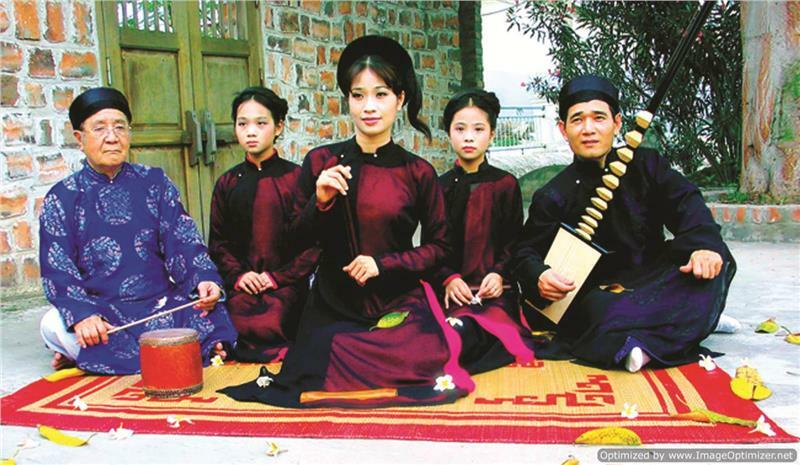 Quan Ho folk songs and Ca Tru was recognized the representative intangible cultural heritage of humanity by UNESCO. Bac Giang has been endowed many beautiful landscape such as: Suoi Mo Scenic spot (Luc Nam district), Cam Son Lake, Khuon Than Lake (Luc Ngan District), Khe Ro primitive forest, Tay Yen Tu (Son Dong District) with rich flora and fauna in which many rare creatures listed in Vietnam Red Book. 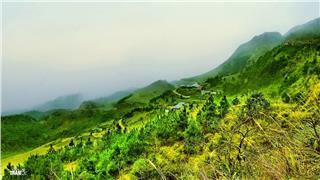 It is the favorable conditions for Bac Giang tourism development. Village festivals in Bac Giang have existed for thousands of years with the particular rituals, contents and forms. Howver, the festivals mainly aim at the unity and solidarity of the village community, traditions of cultural-historial education, tradition of fighting against aggressors, traditions of fondness for learning and professional development. Every year, Bac Giang has more than 500 traditional festivals, typically Yen The, Xuong Giang, Suoi Mo, Tho Ha, La Pagoda (Vinh Nghiem Pagoda).